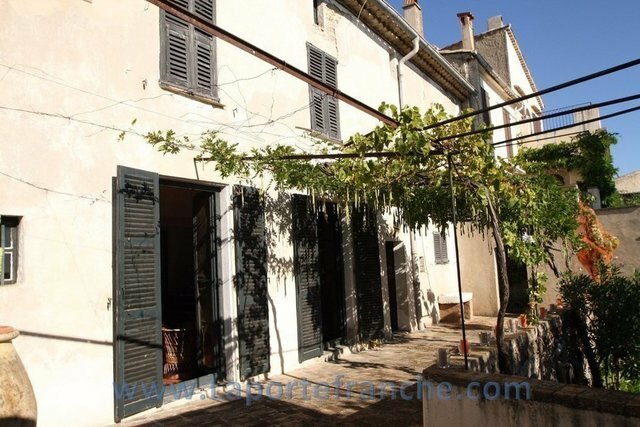 In the medieval village of Haut-de-Cagnes, this vast property of about 400 m2 is an exceptional product. Very sunny south-east / south-west, perfectly quiet and enjoying a beautiful sea view, this house is revealed as follows: An entrance opening on to a lovely garden of sight. Ground floor: entrance opening onto a living room with fireplace and ample storage space, a water source, as well as openings to a large terrace and a second garden with a sea view, a kitchen also with a access to the terrace, a dining room and a walk-in. The first floor is served by a corridor leading to a staircase to access the second floor, a bedroom with shower and storage point, large bathroom, separate toilet, two interconnecting rooms separated by a second staircase also giving access to the 2nd floor. On the second floor, a bedroom, a large living room, a shower room, a hallway with plenty of storage space and a second bedroom with storage. Huge potential for this splendid mansion, work is to predict, possibility to create a small pool, ideal for a guesthouse, two-family house ...... Rare and must-see.